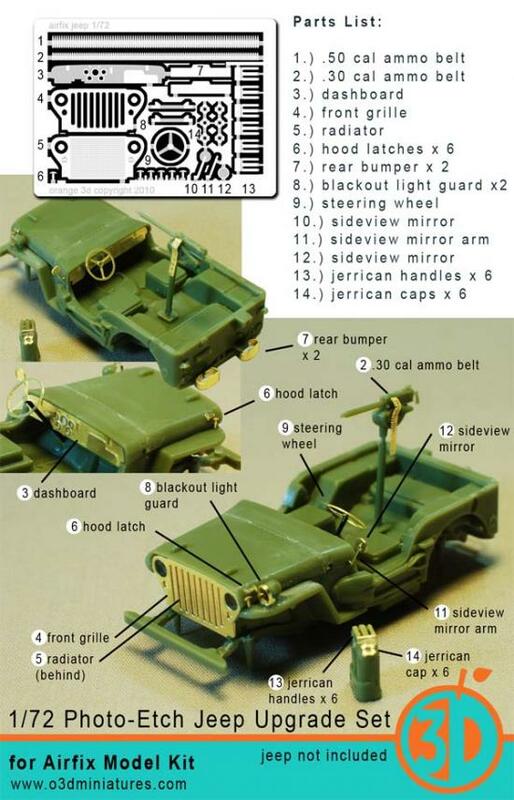 Among the best kit options to model a braille scale WW2 Jeep Willys probably one of the best ones out there is the 1/72 Airfix/Heller kit that hails back from the mid 2000’s. 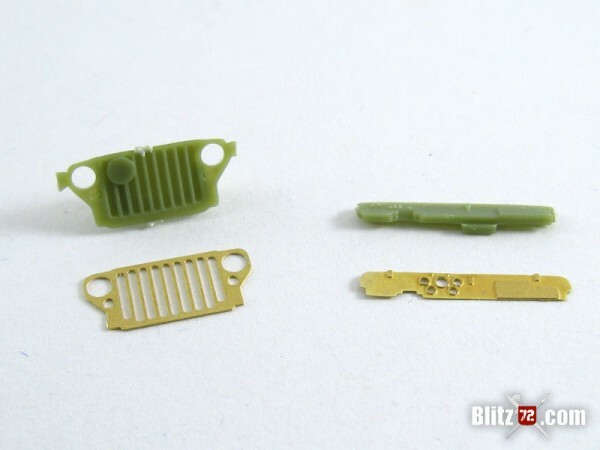 However, as with any other 1/72 Jeep kit out there you will find that since this is such a small vehicle some of the finer detail necessarily suffer due to the limitations of the plastic injection. Unlike any other type of vehicle you can’t really hide these rather overly thick details. 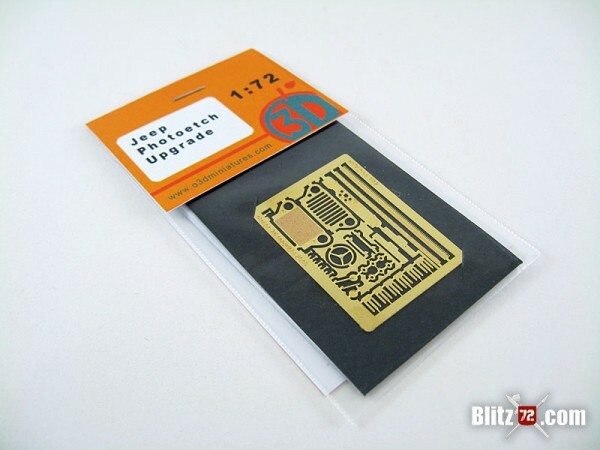 Orange 3D acknowledges this issue and comes to the rescue with this great 1/72 Photo-Etch Jeep Upgrade Set for the Airfix / Heller kit. 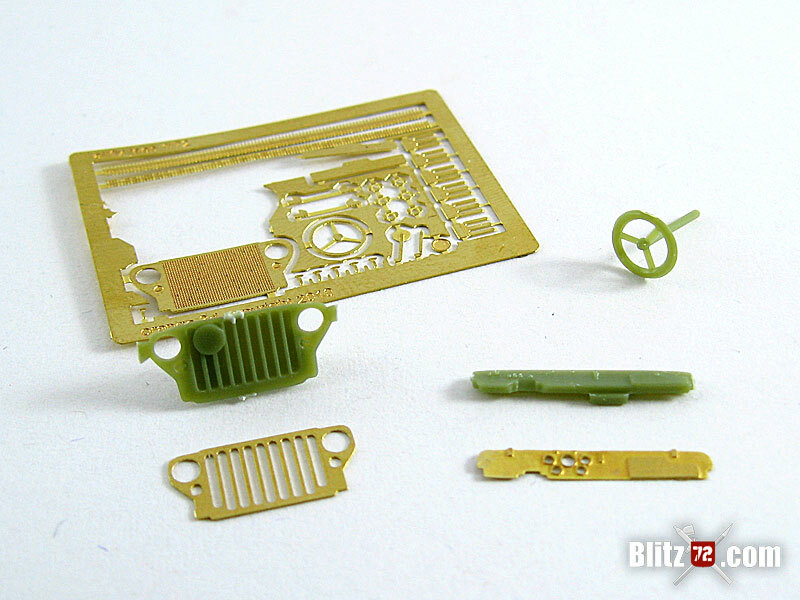 If you don’t have access to this kit, no sweat, they also have a Photo-Etch Upgrade Set for the Academy Jeep. It is basically the same thing, adjusted for the layout/size difference between these, so anything said here is perfectly valid for the Academy specific set. The set arrived directly from Orange 3D in a double padded envelope, with the set firmly sandwiched between two thick cardboard pieces. As someone who has gotten bent or broken detail sets in the past I really appreciate the extra effort when packing. At first it might seem like a small fret but this set is packed with 31 (yeah, thirty one) parts to dress your Jeep, and includes everything from the steering wheel (probably the more toyish feature in any 1/72 Jeep) all the way to the jerrycan handles and caps. The quality of the etching is first class. Crisp edges, no defects or stains of any kind on the parts and they are not stiff at all, requiring no heat process to make them workable. Even the petite detail on the grille backing plate is marvelously done, almost feel sorry to hide it behind the grille. Speaking of the grille, it is probably the single most iconic element of this vehicle and the set makes it justice. Compare it with the plastic part and see for yourself. 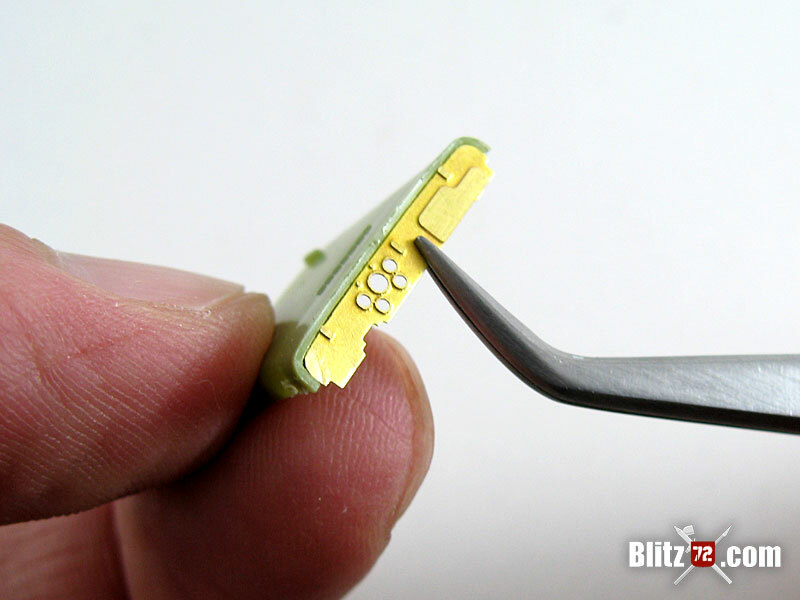 Another part that greatly improves what comes in the kit is the dashboard. Complete with embossed bezels and glovebox door. The fit of the parts is very good. The dashboard fits spot-on with no tweaking or sanding on any of the parts. The grille required a little more effort mainly to the hood being naturally over-scale in thickness. A little sanding on the kit part and the PE part sides promptly solved that. As you can see the resulting product is great. One last item that in my humble opinion Orange 3D nailed and most major manufacturers seem to overlook: ammo belts. Two of them actually, one for the .30 and another for .50 cal MGs. 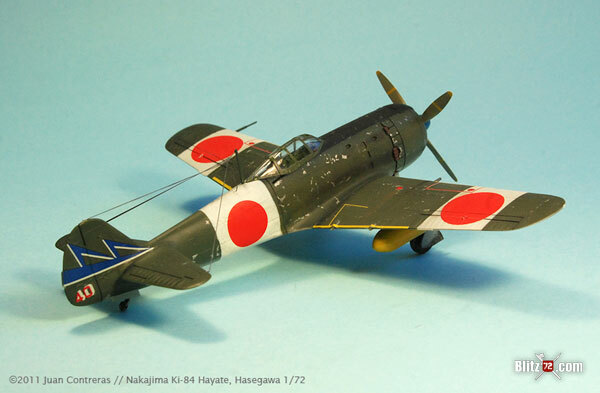 Since you will get to use only one (.30 cal in the Airfix kit) the other one goes to the spare box and will come handy next time you mount a .50 MG. 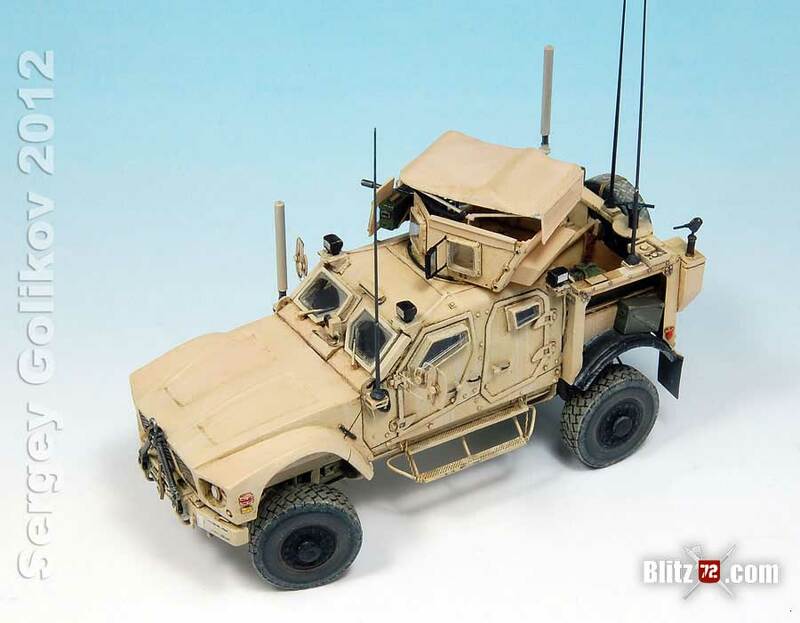 The same can be said from the jerrycan accessories, unless you are modeling a SAS Jeep loaded with jerrycans you will probably use one or two and the rest is an appreciated addition to the 1/72 depot. I’m very happy with this product, and as a Jeep fan I think it fills a void. In fact I liked this set so much I already started a Jeep build were I’ll use it. 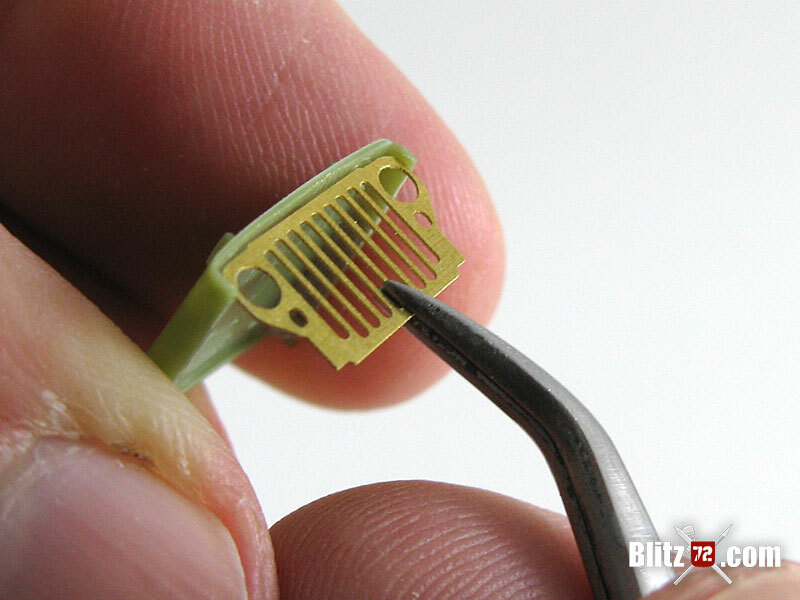 You can follow the progress of that in the WIP 1/72 Airfix/Heller Jeep Willys article. As far as Orange 3D goes, I’ll keep my eyes peeled on this manufacturer. 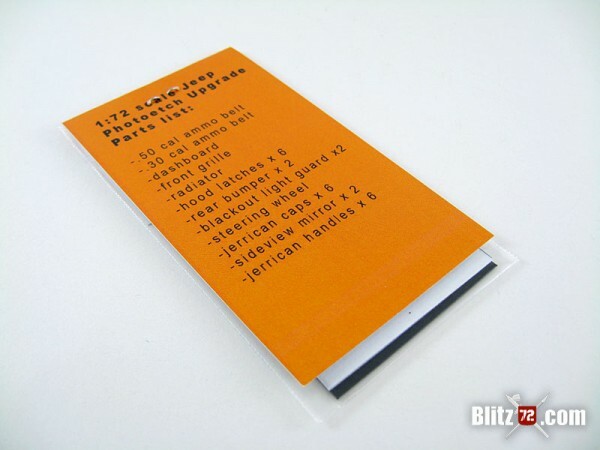 If they continue to produce 1/72 items of this quality they will be a regular occurrence in my credit card invoice.